Pratham Seattle Hosts Technology: A Game Changer in India’s Education Challenge? 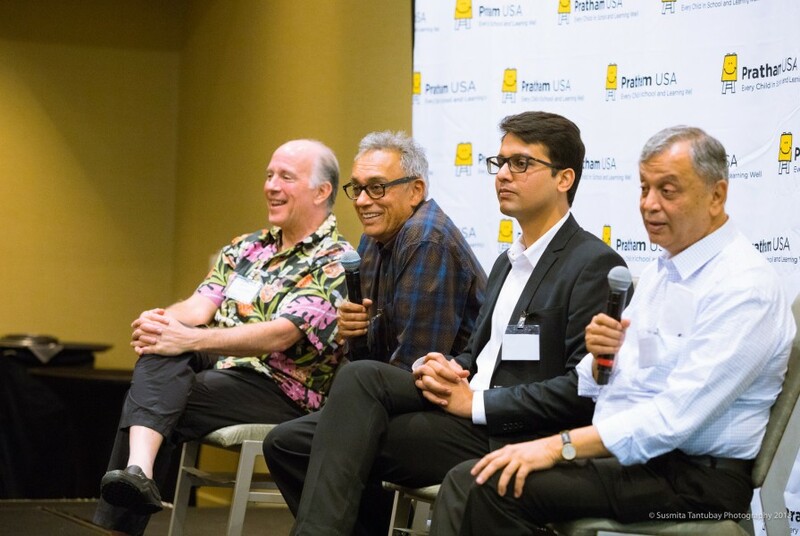 On May 21, Pratham Seattle hosted “Technology: A Game Changer in India’s Education Challenge?,” an informal discussion between local technologists and Dr. Madhav Chavan, co-founder and president of Pratham. Hosted at the Westin Bellevue, speakers included Pradeep Singh, chairman of Pratham Seattle; Ben Slivka, co-founder of DreamBox Learning; and Nishant Baghel, director of technology innovation at Pratham. Despite the wide spectrum of viewpoints represented, the overall consensus was that technology can be fused with existing programs to enhance proven methods and make them even more effective. Watch the video to catch the full discussion. Cover photo courtesy of Susmita Tantubay.